Located in Wright, MN, Groth Lumber is the "one-stop store" for home-owners and contractors. 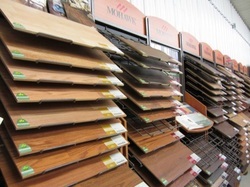 We provide not only a full- lumber yard but we are a 'True-Value Hardware Store.' For your convenience, it's all "under one roof." We service Northern Minnesota including areas of: Cloquet, Moose Lake, McGregor, Floodwood, Cromwell, Big Sandy Lake and most of Minnesota.